click on the AAA Awards link above !! AVAILABLE NOW is the BRAND NEW CD !! Just in time for the holiday season !! With songs like "We Wish You A Merry Christmas", "Jingle Bells", "Joy To The World" and a BRAND NEW song written by members of SANCTIFIED HARMONY called "The Reason For The Season" !! right here for on $6.00 !! OUR HEARTS GO OUT TO THE HARTHORNE FAMILY on the loss of CIERRA HARTHORNE who was a member of SANCTIFIED that passed away on 5-27-2013. Please pray for the family. Please help us help the children of our former member Cierra Hawthorne (the first lady to the right from the middle) by purchasing this CD. Some of the proceeds of this CD will continue to help take care of her 3 children. The family thanks you in advance for you support. SANCTIFIED HARMONY IS NOW ON YOUTUBE !!! We have posted 2 new music videos and 3 videos of a live performance in Dallas !! 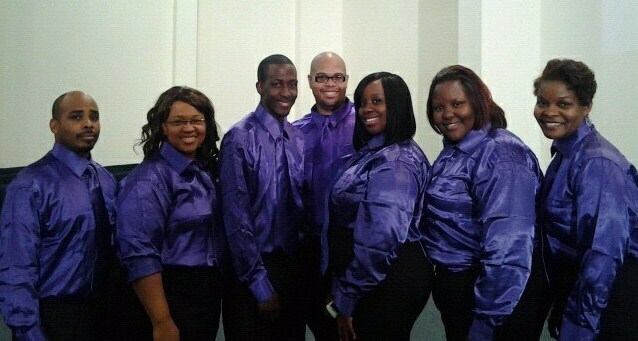 Look us up by searching SANCTIFIED HARMONY...and leave a comment letting us know how you liked it !!! SANCTIFIED is 2010 Traditional Artist of the Year (CAMA Awards) !!! 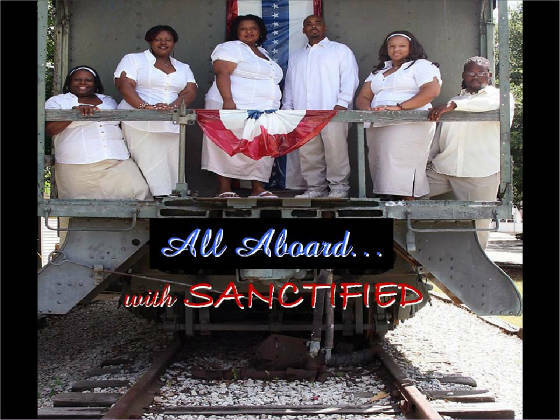 "I SHALL NOT BE MOVED" from SANCTIFIED'S NEW CD "ALL ABOARD!!" was #1 on the Gospel Charts (www.artistopia.com) and "LOVE ONE ANOTHER" was also #1 on the Gospel Charts (www.artistopia.com) for 6 months and was retired as 13th all time in any genre on their website !!! SANCTIFIED was in the top 10 out of over 180 songs on Gospel Charts (www.gospelengine.com), and was the top 20 on the Christian Charts out of 400 different christian artists (www.indiecharts.com) !!! Don't miss out on this wonderful CD, GET YOURS TODAY !!! GET YOUR NEW CD TODAY !!! Welcome to A'cappella Redemption Records!! Nominated by the Christain Acappella Music Artist Awards for Best Record Label/Production Group 1998, A.R. RECORDS label is a Christain record label that strives to provide the gospel through song. We seek to provide the lost with the Word, the saved with encouragement, and the music lover sounds from heaven. We are committed to staying within God's plan for our label. 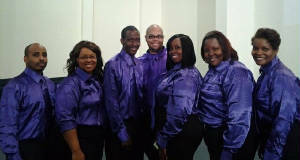 Acappella Redemption Records, located in Dallas, TX, has been serving Christians for almost 15 years. You may have recognized projects such as, Youth Conference Love Vol. I, that include various artist like Harold Robinson, Terri Mays, Terri Jackson, Sean Maxwell, and Marcus Garrett. This project is dedicated to sending youth to the National Youth Conference with funds from the project!! Other projects on A.R. RECORDS; Marcus Garrett's "Show You the Way" & INSPIRATIONAL VOICES "Joyful Noise" of Dallas West Church of Christ. The newest projects include Youth Conference Love Vol. II (available now), that includes male ensembles & choruses like, North Teneha Male Chorus, Soldiers of Power, Tabernacle, Gospel Hour Radio Chorus & many more; SANCTIFIED "I Can Feel The Spirit" (June 2005) and "All Aboard" (2008) the newest CD with the song "Love One Another" and "I Shall Not Be Moved" & Marcus Garrett "He Keeps Blessing Me" (projected 2011 ). New Releases from A.R. RECORDS-See the NEW VIDEO by SANCTIFIED !!! Link to the all new CHRISTIAN ACAPPELLA MUSIC INDUSTRY RADIO STATION !!! END OF THE YEAR TRIPLE DEAL!! 3 CDs ! !